"Dr. Vomero - excellent a true professional"
"Dr Vomero is the best!" "Dr. Vomero took times to talk and explain things never felt more comfortable with any doctor in my life!!!" "Dr. Vomero is wonderful. He has been my dr. for many years, through many trials and tribulations,and has taken excellent care of me." "have recommended Dr Vomero to many friends & family...great bedside manner"
"dr vomero does a great job"
"Could not ask for a more caring & helpful dr. Trust him with my wellbeing." "Dr. Vomero is an excellent, caring physician. Is thorough and gives his full attention to the patient. I never feel rushed when I am with him." "Dr. Vomero is a true 10+++++ kind, compassionate and an excellent doctor! Many doctors could learn from him, he is a wonderful man." "Dr. Vomero is wonderful. Professional, and highly knowledgeable. I have been seeing the drs. at this practice for about 30 years plus. Drs. here and Bernadini are my primary drs." "I have recommended this practice for years and each and every individual who has use this office is completely satisfied." "Dr. Vomero is an excellent and caring physician. He has been my PCP for more than 20 years and I couldn't have a better doctor." "dr Vimero is an awesome Doctor my mom use to go to him many years ago and he took great care of her. he is kind, patient, caring and takes the time to give you his undivided attention." "I've been a patient with this practice for approximately 20 yrs however my first encounter with Dr Vomero was approx 28 yrs ago." "I've been coming to this doctor for years, in fact he took good care for my father and husband and couldn't ask for a better doctor. His personality, the great smile as he comes through the door, and he has to be the "best" of all the "doctors". He is very thorough with all the tests he does. " "Dr. Vomero is an extraordinarily conscience, thorough, knowledgeable, kind and approachable physician." "Dr. Vomero is a wonderful breath of fresh air in a profession that has become so jaded. He is friendly, considerate, professional. always has a smile on his face and great conversation. Calmed me down on last visit. first visit that i came alone with a cab. was hard for me because my husband always took me. he has dementia and can no longer drive out of our immediate neighborhood. I told this to Dr. Vomero. I did get emotional. He actually held me until i calmed down. It was not easy to find another dr after my dr of 32 yrs. retired. but Dr. Vomero is so like my old dr. He is just as caring and considerate and as thorough. I would recommend him to anyone!" 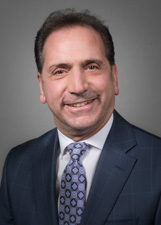 "As previously stated Ernest Vomero is the man"
"Excellent physician - wonderful rapport w/patients." "LOVE Dr. Vomero. He takes the time to see the whole issue not just the problem at hand." "Whats better then VERY GOOD - that's Dr Vomero"
"Dr Vomero is excellent in his field." "Dr. Vomero has been my primary care physician for 25 years. I have complete confidence in him." "Dr. Vomero has been my doctor for over ten years. He ALWAYS takes time to review my entire health records and explain ALL results. He is a gem!" "Dr. E. Vomero is an example of what all doctors should strive to be! He puts his patients first & has never forgotten the patient is more than a diagnosis. He is a wonderful MD and person." "Dr. Vomero is committed to providing me good advice about my medical condition." "Dr. Vomero is an excellent physician that has been taking care of my family for decades." "dr Vomero always spends it of time expaining everything"
"Dr. Vomero always makes me feel that he truly cares about me and my health. His care is exemplary." "Dr Vomero and his staff are very friendly and professional, I can't thank them enough for how they treat their patients"
"Dr. Vomero is an excellent physician." "This particular provider has been our family's primary care physician for nearly 30 years. The experience of trust & confidence continues deeper with each interaction." "Dr. Vomero has been my doctor for many years. He was my mother's doctor for years. I have every confidence in him. He's excellent at what he does." "I have been a patient of Dr. Vomero for over twenty years and he has always been compassionate and cares about my concerns and health." "I am extremely satisfied & confident in and with my care provider. He is very professional & exact in all his decisions and also very thorough. " "Dr. Ernest Vomero is a very caring, friendly and compassionate doctor. Who really cares about all his patients, that they get the proper care." "Complete confidence in Dr. Vomero. Highly recommend him all the time to friends, family, co-workers." "Excellent doctor - Truly cares about patient." "this office provides excellent care"
"Dr. Vomero is a very caring person and he has should me over the years that he cares for everyone he sees." "love dr. Vomero! he is the best!" "Dr. Vomero is the best!" "I can't say anything negative at all about Dr. Vomero, he is top notch!" "He took his time and went through everything with me!!" "Dr. Vomero is thorough and takes the time necessary to explain your medical condition. He is also very empathetic. #8. EXCELLENT. " "dr. Vomero , rob Pa. nursing staff have my utmost confidence"
"amazing. seems as if he were family." "Dr. Vomero is an excellent listener and takes the time to explain every thing that needs to be. He always calls with results of tests no matter how late he has to call. Excellent physician!" "Dr. Vomero is a caring, knowledgeable doctor takes the time to explain & talk, review - listen. Great doctor." "Dr. Vomero excellent and professional care." "My husband & I have complete confidence in Dr. Vomero - he is caring and well informed." "Dr. Vomero is a dr. who listens first & explains all instructions." "Dr. V. is always on top of his game. Never rushes you, always gives you all the information you need in a way layman can understand. Compassionate, friendly, can't say enough kind things about Dr. V."
"Dr. Vomero is the best physician I see. I trust him with my life. He prioritizes me and not the computer. He makes eye contact! So rare now! He is THE BEST. " "I have complete confidence in my doctor and if I can't see him in an emergency I know that Rob will take good care of me as well"
"Dr. Vomero has taken care of my husband & myself for years with the utmost kindness & care he has been a rock for our whole family." "Dr. Vomero is awesome. He is caring and thorough and truly cares about his patients. " "Dr. Vomero has taken wonderful care of me through some very difficult times. He is caring and concerned and I recommend him to everyone." "I enjoyed meeting with Dr Vomero. He was professional and at the same time displayed a keen sense of humor. I found him to be knowledgable, concerned, caring, and extremely thorough throughout the exam process. SC"
"I am very happy with Dr. Vomero and his care. Perhaps the doctors are over booked or have to respond to other doctors' calls, which puts them behind. The wait time is the problem not the care. My time is valuable also." "Dr. Vomero has cared for our family for over a decade and has provided us with a level of care that exceeds any physician we have known. His experience, expertise, bed side manner & knowledge are keeping us on track for a long & healthy life." "Dr Vomero has been my doctor 25+yrs i have the utmost faith in his care that he provides. He has always and still goes above and beyond for his patients a very caring doctor." "have recommended several times in the past"
"I would recommend Dr. Vomera MD to anyone and all"
"This is a very busy practice, never the less, Dr. Vomero makes you feel as though he can spend the whole day taking care of you." "Dr. Vomero is dedicated to his patients. He always follows up, even after hours, if necessary, to discuss test results or treatment." "my PCP I is great always explains everything and very professional overall he is a great doctor Ernest Vomero ." "Asthma and breathing under control. " "Too long waiting saw the doctor for 5 minutes in exam room. 5 minutes in his office." "Dr. Vomero is a very caring doctor." "Dr. Vomero was very concerned about my pain and was thorough in examining me. He explained what wa swrong in words i had no trouble understanding. I am more medically attuned then most patients so i do understand medical terms. He also offered me script for pain meds which i declined due to issues with side effects. He did range of motion testing to see how much i could move until it hurt. He has an excellent bedside manner. very friendly but maintains business decorum at all times. he has way of making me feel ery relaxed and comfortable. i also have high level of confidence in him." "Recommended dr. to family & friends without hesitation." Pulmonologist Ernest Vomero, MD recently treated patients and educates physicians in the Dominican Republic on a medical mission.